A critical weekend on the BU schedule begins tonight as the #6 Terriers host top-ranked and defending national champion Denver University; tomorrow evening they head down Rt. 95 to take on #10/11 Providence. 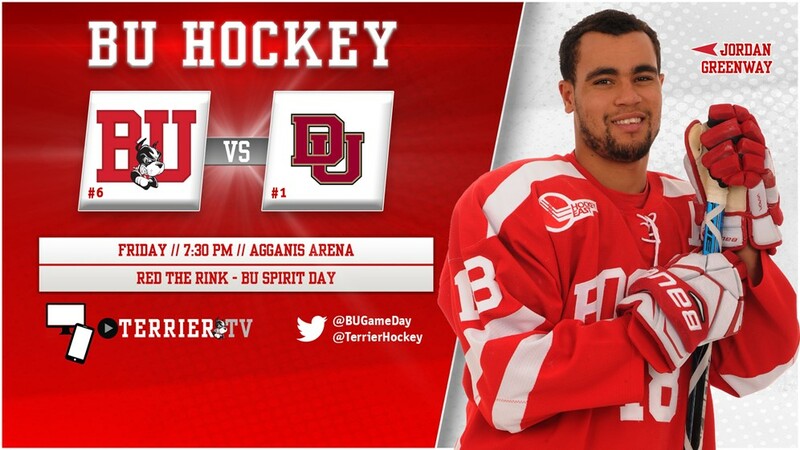 Today is BU Spirit Day and the Terriers will be wearing red jerseys at Agganis Arena for the first time ever. Fans are encouraged to wear red to "Red Out" the arena tonight. The Terriers and Pioneers have met 33 times with DU holding a slim 16-15-2 lead. Over the years, the series has favored the home team. 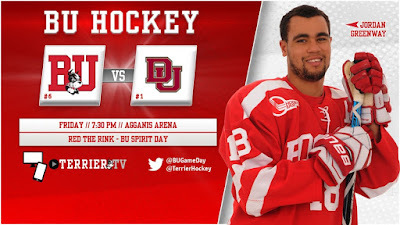 BU has a 9-1-2 record on home ice, while Denver is 13-3-0 at home. Last October, the Pioneers swept the visiting Terriers 4-3 and 3-1. Denver features the eighth best offense in D1 (3.50 GPG) led by Henrik Borgstrom, Troy Terry and Dylan Gambrell with five points apiece. Goalie Tanner Jaillet has a 2.21 GAA and a .911 save percentage. Like BU’s Jake Oettinger, he’s been named to the watch list for the Mike Richter Award, an honor Jaillet claimed last season. Following his six-point (5G, 1A) weekend against UConn, junior Bobo Carpenter is tied with sophomore Patrick Harper (4G, 4A) with eight points each. Junior Jordan Greenway and freshman Shane Bowers each have five points. 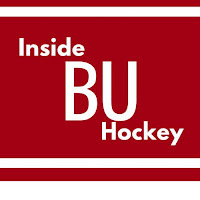 Oettinger who has played all six games for BU has a 2.61 GAA and a .916 save percentage. 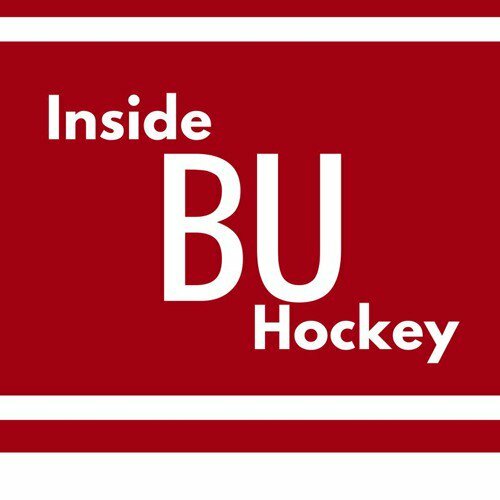 ►This Week’s Episode of Inside BU Hockey features Bernie Corbett’s interviews with Head Coach David Quinn, sophomore forward Patrick Curry and Providence Friars radio broadcaster Mike Logan. ►This week’s Hockey on Campus podcast features Bernie Corbett's interviews with Northern Michigan Head Coach Grant Potulny, College Hockey Nation producer Matt Fults and CHN’s Avash Karla discussing the NCHC. It airs on NHL Radio (SiriusXMChannel 91) on Saturday morning at 8 a.m. ET and Sunday morning at 10 a.m. ET. You can also find it here on College Hockey News. Clayton Keller scored his seventh goal—tops for NHL rookies—in Arizona’s 5-2 loss to the Rangers. Keller was one of three Terriers on the MSG ice in the game, along with the Rangers’ Kevin Shattenkirk and the Coyotes’ Adam Clendening. Sahir Gill scored his first goal of the season as AHL Rochester defeated Laval, 5-2. Gill also assisted on the game-winner.